Those are my words for the book Eragon that I have just finished reading recently. Eragon is a poor farm boy who luckily found a shiny stone in a magical forest near their hometown. Food for the table that would last for the whole winter, these are thoughts of this poor farm boy as he carried the stone back to his dilapidated house. The stone is more valuable than food, however, as a dragon came out of the stone and chose Eragon as its rider, opening up a new life and opportunities for to become the person who will save the world or continue its destruction. This book is the latest of the novels in the genre of fantasy that I had read. Though very far away from the works of J.R. Tolkien, this novel is quite refreshing to read and will keep the readers in turning the pages until the end. Novels in this genre are flooding the bookstores and some of the characters and creatures seem to repeat from one fantasy novel to another. In spite of this, Eragon managed to create its own unique world that are different from the other ones in other fantasy novels. Although some of the creatures like elves, dwarves, and humans are still present. One of the villainous creatures in this book are called Urgals, which somewhat represent the Orcs of Tolkien's novels. What set this book apart are its plot and the possibilities that may arise in this novel. 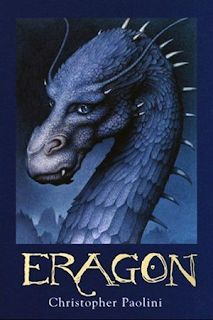 So if you are hungry for a fantasy novel, then Eragon is recommended for you. Visit Before the Eastern Sunset and read about Mactan Shrine, which is the shrine of Magallen’s slayer Lapu-Lapu. Also visit Paradoxic Ley Line and read about my new article which is about the proposed expiration date for marriage contracts. Follow me in Facebook, Twitter, and Friendster. Well, I do hope that you like this book. It has a nice plot and a good story.